Is there any work being done to standardise copy and past functions across different browsers. I'm confused. 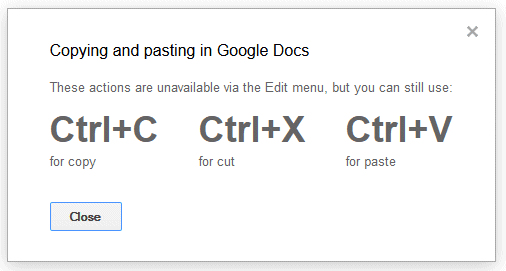 I'm using Google Docs in Chrome and Copy / Cut / Paste all work as in a desktop app. I don't have Google Docs web app installed (I have just checked). Same as John. Not sure I follow. I live out of Chrome and Google Apps. Never had issue with cut, copy and paste, and I certainly would respect it less if it wasn't able to do it natively. To be honest, I hadn't noticed this limitation, as I always use the keyboard shortcuts. Hi, I'm a Linux user, latest chrome, using google spreadsheet, how do I copy/paste the values from one spreadsheet docu to another, I only get the formulas. i.e. I would like to copy the only values from one google docu to the other. Same result with ctrl-c + ctrl-v, using the spreadsheet right click menu, doesn't work at all. Many people have had problems with the copy and paste feature, thanks for this article. Hopefully it will work. 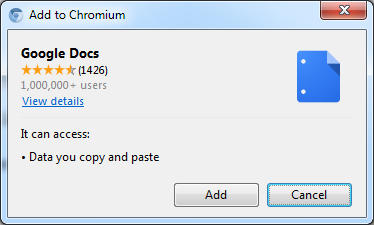 I have the latest version of chrome with Google Drive (earlier known as Google Docs) is installed. Yet I can't copy paste Images. Google will never be as good as MS Word. Google docs and spreadsheet will never be as good as the MS Office programs which have stood the test of time. Google's benefit is its portability and its "Free". I have had nothing but trouble with almost every feature of google doc and google spreadsheet. I have trouble with row resizing. For some reason my right click does not produce the right menu, and there are no alternative ways to do this. This is where I find Google lacking. I always go back to Excel spreadsheet or even Works Database for regular work. They are superior in every way. I have a related question. We want to share a confidential list with a collaborator. Ideally we would allow them to access a spreadsheet in the cloud. In this spreadsheet they could perform operations like sum, sort, count and filter lists. Ideally they'd be able to build pivot tables too. I'm not even sure the later is a function Google apps supports. What we'd want to prevent is copying of the master list to the clip board. But ideally they could copy derived tables (like pivot tables). It would be like locking on tab in an excel document and leaving the others open for deriving results from the locked sheet. Crazy approach for a 'collaborator' but I have to keep everybody happy. Any advice? 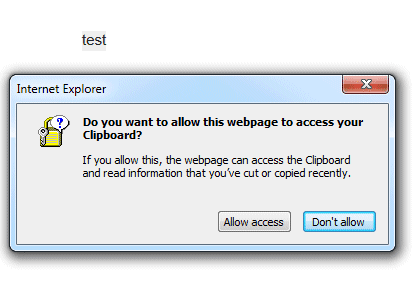 in firefox.. type *about:config* as "address destination"..
in search type *dom.event.clipboardevents.enabled* to true.. So do users of tablets other than Android tablets with Google Play need to buy a Bluetooth keyboard and pair it in order to be able to copy and paste?